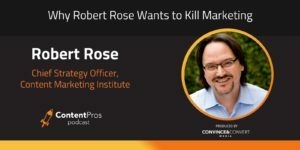 Robert Rose, Chief Strategy Officer for the Content Marketing Institute, joins the Content Pros Podcast to discuss why he thinks it’s time to kill marketing and start fresh with content that stands apart from sales. Technology has created a whole new level of complexity and demand when it comes to content marketing. Keeping up with the changes can be daunting, especially when the approach to content has not changed but the delivery and consumption is entirely different. To stay relevant and heard in the increasingly noisy world, marketers need to change up their whole approach to content creation. The key is to aim for content that stands on its own and apart from sales. Content marketing is not always advertising, and advertising is not always content marketing. Content marketing is about building a long-term audience that comes to trust your voice amongst all the others that are out there. This is done through consistent, valuable, educational, and engaging stand-alone material that is a complement to, not a replacement of, advertising. To do this correctly takes time, dedication, and a belief in the power of content throughout the organization. What kind of music are you listening to when you’re not up on stage? I’m a musician. I play piano and have for many years. This is not a cop-out, but it honestly could be anything. I think the only kind of music I don’t regularly listen to is death metal. What is your preferred format for content? It depends on the actual expression of content. For novels and books, it’s almost always Kindle. I love audio for just about everything else. If people were to pick up one more book from Amazon’s recommended reading for Killing Marketing, who would it be: Content Inc. by Joe Pulizzi, Growth Hacker Marketing by Ryan Holiday, or Everybody Writes by Ann Handley? There’s no question it would be Ann’s book because it is hands down awesome. I love Ann Handley’s book. Killing Marketing is about big ideas, big business, large enterprise, a CEO-level book. Ann’s book is for all of us to just communicate. 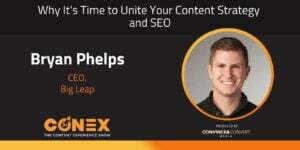 Randy Frisch : Welcome back to Content Pros Podcast. I'm Randy Frisch as always. I've got Tyler Lessard joining me. Today we get to have one of my favorite people in content marketing join us, Robert Rose from Content Marketing Institute. For those who don't know Content Marketing Institute, you may have heart of Content Marketing World. The beauty is when you go to those events, you see this really energetic person who educates us around this world of content marketing that we live in. Every once in a while he'll even do a little air guitar, which I'll let him talk about as we bring him into the show shortly. Tyler, you've probably seen Robert entertain audiences multiple times. Tyler Lessard: Well, it's always great to have folks like Robert on who I think really live and breath and embody the spirit of content marketing not just in what we do on a day-to-day basis, but I think to your point how you engage audiences. With that, I'll turn it over to Robert in just a second. 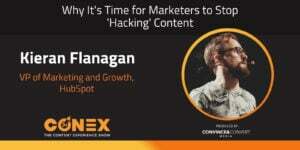 I'll intro him by saying that not only is he a great thought leader in a space and a strategic advisor at Content Marketing Institute, but of course he is also a speaker and an author. Recently published Killing Marketing along with Joe Pulizzi. I love the intro to this, which says, "Even though technology has changed dramatically over the past decade, marketing has not." While many of us will argue, "Well, it has changed," I emphasize that point of dramatically. With that, maybe Robert, I'll turn it over to yourself to finish up your own introduction to introduce yourself to the audience and talk a bit about what Killing Marketing is all about. Robert Rose: Well, okay. First of all, thank you. I refuse to talk about the air guitar thing, so let's just get that on the table right away. Randy Frisch : We've got 30 minutes with you. We'll get it out. Robert Rose: I have no doubt. I have no doubt. There is video for those who know how to search social media in any sort of sophisticated way. Thank you for having me. It's a great pleasure to be on the show. I am yes, as you said, the chief content or chief strategy advisor with the Content Marketing Institute. My role is to really run around the planet and work with usually larger brands, sort of C siloed global matrix, difficult organizations that are looking at standing up a content marketing strategy and are really trying to figure out how to do it. That work over the last call it really 10 years is something that I've been working on as part of my role with Content Marketing Institute for sure and it's also helped inform our editorial and our events and the speakers that we have and those kinds of things, working with the companies that are actually really doing it. Where that has led is Joe and I started talking about five years ago about the idea of really rebooting marketing. We sort of took the idea that ... It's a quote that's associated with Mark Twain, although he probably never said it, which is, "It's not what you don't know that gets you into trouble. It's what you know for sure that gets you into trouble." We started asking ourselves what if it's what we really know about marketing today that's really holding us back, which is this idea of leading with persuasive copy, trying to use advertising, direct marketing, cold calling, the whole idea of direct marketing as sort of the front of the bow of the ship, right? It's how we sort of enter the marketplace. We said, "What if we could do things differently? What if it was about building an audience, using content to assemble a trusted, engaged, subscribed audience that would drive value for the organization in so many other ways? What if we just sort of reversed the idea of where content usually sits in the organization?" That was the inspiration for the book. It's really our idea of Killing Marketing, which is not killing the practice that I know and love and have been a part of for 35 years, but it's really this idea of what if we could change it to be something different in this new world that we live in. Tyler Lessard: I love the idea of how marketing and content marketing can be so much more strategic value to a business and it's something I know we ... I talk to my own team about is building out our content strategy as something that would have value. Like if somebody would come along to buy as an organization, could we value what we've invested in from a content and from a marketing perspective as an asset to the business. I think it's a different way of thinking and it takes you down a much more longer term strategic path to how you add value to the company. Now I'm curious, Robert, what are the big things ... There's lots of things that have changed, but if you could narrow it down to just a few main things, what's changed over the last decade that's driving your perspective on how we need to change and was a forcing function for this shift? Robert Rose: Sure. There are many of the things that we're all familiar with that have been explored ad nauseam at every conference we go to, which is the digitization of marketing more broadly. Even if you just peel that back a little bit, right, so that one layer and you sort of look at the digital idea, what that has really enabled as both an opportunity and a risk, which is a lot of people will say, "Well, content is now commoditized, right? The idea of content is a commodity and it's out there and there's so much noise and digital has really enabled basically this tsunami of stuff out there. It's really hard to sort of get beyond and get attention and all of that stuff." To a certain extent that that's true, but the real change here is yes, the distribution and the production of content has really been commoditized or democratized if you will. It's really easy now using technology such as the technology we're literally using as we record this, there is this wonderful idea that we can consumerize or prosumerize the creation and distribution or the distribution and production of content. The creation of it hasn't been democratized. It still is hard today as it was when Gutenberg invented the printing press to come with something that's interesting, to come with something that people will resonate with and that will take action on. That part hasn't changed. The real change here is how can an organization, a company, adapt and change into this idea of utilizing technology and the digitization of marketing and everything that exist from the fragmentation of audiences across channels and mobile and social and platforms and all of these different formats that are now available to us, but create a valued piece of content within that. In other words, truly changing. Not just throwing more content into the machine because it can scale and produce all this wonderful stuff in a programmatic way, but how do we actually start valuing the content creator, the one who can create the impactful story, the one who can create the amazing thought leader piece, that expert, the authority. That evolution is quite frankly something that is really difficult for organizations to make. The idea of creating content just to your point, the idea of creating of content that is valuable in and of itself, just because the content is valuable is a really big shift for most companies to make. They're used to creating content that describes value through copy, that creates persuasive content through features and benefits and reasons to believe and mission statements and product descriptions and catalog ideas. All of that is really familiar to most marketing and communications departments within the organization. The idea of creating content that itself is valuable is a really fundamental change. That's the biggest change that I see where organizations are truly surfacing and leading is where they start valuing the creation of content as an asset in the business. Robert Rose: If it's good, it's me. Randy Frisch : All right. There you go. It's about adding value, relevant and consistency of what you're putting in front of your audience to attract that clearly defined audience. I love that and I love the idea that you're focusing on value. I guess my question to you for people who are either saying, "Okay. We want to start doing this or we've been doing it and it's just not working," is who has to be the champion of this idea of creating value? Where does it start? When you're going into these companies who you've seen have succeeded, companies maybe like Red Bull, does it start at the CEO level or does it work its way up to the CEO? What's the recipe for success that you've seen? Robert Rose: Almost exclusively the latter. Almost without exception. There have been exceptions in my experience where the CMO or some leader in marketing comes in and says from a top-down perspective, "We're really going to change here and we're going to put in a content organization and we're going to put in something that really adds value, et cetera, et cetera." That's really the exception. Most often it is a practitioner usually somewhere in the marketing spectrum, right? One of the other changes that's happened quite frankly over the last 10 years is that we in marketing have become siloed as well, right? Now we have demand gen teams and customer service teams and customer loyalty teams and web content teams and email teams and PR teams and brand teams and all these teams that are out there creating content for their specific layer of the customer journey and quite frankly not talking to each other as often as we should. Somewhere in there, somewhere in that spectrum, somebody says, "We've got to do it differently. We've got to create a platform, a content platform, that actually delivers value to an audience simply because that's going to be the way that it helps me do my job usually." Right? If I'm in demand generation, it's going to help me get more leads. If I'm in PR, it's going to help me get more earned media coverage. If I'm in brand, it's going to help my brand bolstering. Whatever that sort of selfish need is, that's usually where it starts as a seed. Then where it succeeds is really where they can start expanding it out, content as a function in the business. Not just as a project and not just as a campaign, not just as something that gets done temporary as part of some micro site or something like that, but it's rather how do we start creating content as a strategic function in our business. Many times quite frankly that happens in the classic "I'm going to beg forgiveness rather than permission" here because the actual functioning of it, getting cross-functional cooperation with calendaring, with asset creation, with the content, with audience and persona development, all that stuff really comes out of that practitioner level of working with their teams. Then the function can be layered over the top of that. Getting permission from the CMO or the C-Suite not for the project, but for the function and process of content more strategically in the business. That's where it really succeeds. The biggest mistake is where we look at content as a simple campaign or a simple project. It may or may not work, but people go, "Yeah, okay. That worked. Well, let's do that again and let's do that again," and then it just becomes quite simply a declining value of campaign-oriented marketing that yeah, it's got some storytelling in it and that's where the buzz words really start to emerge. It just starts looking like everything we're else doing, but we're calling it content. Randy Frisch : I couldn't agree with that more. In fact, it was interesting. About a week ago, I was at a conference and I was talking to a CMO and I won't say the company or the CMO because a little bit of guilt here is going to come in terms of his reply perhaps if you were to look back on it. Robert Rose: Run them under the bus. Randy Frisch : We were talking about who needs to evaluate the use of content, right, which I think is what you're saying, Robert. It's like how is content being used in that organization. His approach was, "Well, I guess I really have to get my content team on that." I said, "Well, yeah, you have to get your content team, but you also have to get your demand gen team on that." He said, "Well, why?" I said, "Well, they're the ones who have to actually use the content in the campaigns that you're out there doing as opposed to just thinking about a group that creates content and post it on your website for people to come and just magically discover." Right? He fully acknowledged it once I pointed it out to him, but I think there's this mindset that we have to get companies to kind of go beyond just creating content to start using that content. Robert Rose: It's a great point. It's a great point. That's where the value is. Ultimately what we're trying to do in content marketing is build an audience because quite honestly, if we only look at content and the content we're creating as a replacement for advertising, we'll fail. The reason for that is because content quite frankly is more expensive to create. Great content is more expensive to create than an ad. It just is. It takes longer. It takes deeper and different kind of talent to bring it to fruition. All of these things mean that we have to find more value in the organization for that content than simply just throwing it out as another version of an advertisement. Getting cross-functional participation with demand generation, with PR, with the brand, with customer service, with sales, wherever it is, and finding those multiple lines of value for the audience we're building is a key competent of making a successful content marketing strategy. Just an example of that is you start thinking about using a piece of content that is going to create a subscriber. Kraft is a great example of this and what they've been able to do with their food and family magazine and online recipes database. They build a database. They build an audience of three and a half million opt-in subscribers. Well, those audiences provide multiple ways to get value. They provide research to the brand managers who are doing classic advertising to help them say, "Hey, here is where we should advertising and hey, here's what moms in Northeastern Ohio think. Hey, here's what better they think about macaroni and cheese these days," because we can poll them and survey them, et cetera, so they can provide invaluable retail-oriented research to the brand manager. They can also be used because we can upload that database into Facebook and do lookalike advertising on Facebook to make our media buy better. They can be used because we can look at what they're doing in a regional level and give our partners at the store level better insight into where they should be doing point of purchase displays and those sorts of things. Looking at and for the multiple ways we can drive value through the creation of an engaged audience is the way that we provide the value for content to support many, many strategic business initiatives, one of which might be a replacement for the ad that we're running. Tyler Lessard: I think that's a really interesting way to put it, Robert. I've had numerous conversation with companies, even over the last few weeks who are undergoing a similar kind of shift and just to sort of validate what you're saying, and even from small B2B companies where their traditional approach has been either content as a way to support digital advertising or content as a way to fuel or a blog or a brand strategy, but not really thinking about how are the other teams not only driving the inputs and requirements. The demand gen team, right? They have their own need for content and to your point, these other teams have a need and a thirst hopefully for great content to fuel their strategies. I think one of the interesting things is a lot of people are still struggling with how do we reconcile that and where does the content creation and strategy come from and should it be compartmentalized into those teams? Should it be a centralized function as a service to the other groups? Right now we're going to take a really short break in the spirit of advertising to hear from a couple of our podcast sponsors. When we come right back, you're going to hear Robert Rose play air guitar. 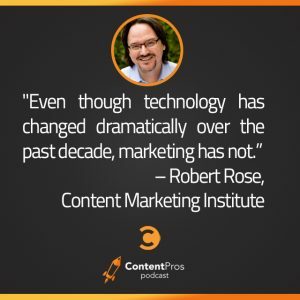 We're back on Content Pros with Robert Rose from the Content Marketing Institute. Now Robert, we were talking about the need for content to be a strategic initiative across a marketing function and the reliance that a lot of different teams have now on great content to fuel their strategies. One question I've heard out there is should we have a centralized content team that is producing various forms of content? It could be written. It could be video. It could long form, short form and servicing the other parts of the organization, PR, demand gen, brand and so on, or do those different functions need to develop their own innate content development capabilities? What is the recipe for success? I'm sure it depends on the size of organization, the structure, but could you take a swing at that and just let us know what you're seeing for maybe smaller companies, as well as larger companies and what's likely to work? Robert Rose: Yeah, absolutely. You're right to point out the difference between larger and smaller organizations because in many cases, the content department might be one person or it might be quite frankly one person who has that as 10% or 20% of their job. In either case, what is important is that there is a strategic content plan. One of the things that you said, which I think is important is should the strategy be centralized or should each group have their own sort of individual mandate? I believe it should be the former. There should be a strategic content plan that is central to the organization that supports the operation of whatever platform they're working on. Call that a resource center. Call it a blog, a digital magazine, a webinar program, whatever the expression of that content is, there should be a strategic content plan for that platform and then multiple platforms if there is such a thing, right? The blog plus the webinar program, plus the white paper thought leadership resource center, whatever it is. Those I look at as strategic initiatives or strategic platforms that each and of themselves have a strategic editorial plan. This is the biggest mistake that companies make because they don't ... What ends up happening is even if they have a content team of one or a content team of 10, they don't create that strategic editorial plan. What they do is they start acting like an IT service or an on-demand service for the rest of the organization. Demand gen has needs for content and so they put their request in. Sales has request for content. PR has request for content. Brand has request for content. The content team, whether one person or 10, ends up being an on-demand vending machine of content that are just random things. Instead, that has to be flipped where the content group, again either one person or 10, has a strategic plan and says, "Here's what we're going to be creating from a strategic editorial standpoint." You're creating much fewer pieces of content that then get turned into lots and little pieces that match in tone and you can really start to focus in on the quality there because you end up typically reducing the quantity of content and really increasing the quality. That strategic editorial calendar and process and plan is really the difference there. The rest of it is what I call content merchandising where we're either reusing the pieces that we're creating strategically to feed out into the other parts of the organization, to feed the campaigns, feed the PR needs, feed the brand needs, or we're saving that some small special segment of time, 20% of our time, to do other kinds of ad hoc content merchandising, creating the infographic, creating the news jacking tweet, whatever it is that we want to do and sort of take advantage of the immediate needs of the rest of the organization. The central operation is the key thing there whether it's one person or 20. Randy Frisch : I love that formula. I think it's actually something. To be honest, I was jotting down the percentages even though I know you can tweet them one way or another for our own team. Maybe you can tell me because I know in Killing Marketing you touched on some great examples of companies with scale, great brands that we think of that are doing this well. As I was hearing you talk about that recipe, I was thinking smaller company, maybe a company around that of my size where our marketing team's 10 to 15 people. How does this work at scale? How does this idea of leveraging content, dicing it up, working these large organizations where even getting everyone to look a calendar is tricky? Robert Rose: Typically, what I'm finding is that in the larger organizations and the larger enterprise, this becomes a strategic function and it has to, right? We've just seen this in our recent research that we just released, which is in the large enterprises where you see content not being taken seriously and what I mean by that is you'll have a ... In fact, I was just at a workshop and a woman came up to me and she said, "We're a large $100 million plus organization. We've got seven different products in our suite. We're global and we have a consulting group as well. I'm a team of two. I'm expected to scale, to create content for the entire organization. Can you give me some tips and best practices in order to do that?" I said, "You won't stop trying because you just simply can't." That's telling me that the enterprise hasn't invested in content yet. The only way to succeed there is to actually get focused about one part of the organization that they might optimize. Where I'm seeing it at scale, there is a team here that's operating content as a function in the business, as a strategic function in the business. Great example of this and maybe a little far out would be Johnson & Johnson and what they're doing with BabyCenter.com. Right? You look at J & J and you go, "Wow. That's a big enterprise organization." It's a separate division actually of J & J, BabyCenter.com, because what do they do? They're making money at it. They sell advertising not to their competitors, but they do sell advertising to monetize their audience. They have I think four and a half million subscribed moms and I'm sure some dads that are subscribed to BabyCenter.com. The data that they get for reaching the tens of millions of moms and dads across the world that they get is just invaluable because they're getting stuff like they know for a fact whether that mom's plan their baby's first birthday at 10 months. That's so much valuable information for a brand manager that's looking to do a product launch. They can test headlines. The can test ad campaigns. They can use that data to do cross marketing, to advertising across social media. That audience is so valuable to them and the division, the separate group, makes money doing it. You look at a company like that where they're treating the actual publication and the platform as a separate group that provides value to the organization as a media organization. Intel is another great example of this with their Intel iQ. Intel iQ is a wonderful magazine that focuses in on technology professionals and it's just a good magazine. It's just a really good set of content. They look at that and it's a small team. It's I think a team of two or three or four people total that drive that magazine and the publication and they're using the data and the audience that they're gleaning from that to add value to what the rest of what Intel does from a marketing organization. That's where it's really provides a ton of value is where ... Just as I was just mentioning where you look at a focus group that creates the platform or the strategy as a function in the business, as an operation, not just as a campaign, but an operation in the business, and then works their tails off to provide integrated value across a number of different areas. Because if you think about it, all that value that I just mentioned, the advertising and Facebook value, the insight into research and all those kinds of things that the audience will provide and value, you're not going to find any of that in a Google Ads or Google Analytics report or a Salesforce report or a Marketo report or a Hootsuite report. All of that stuff means taking the audience, going to other parts of the organization and saying, "Let me see if I can draw value for you. What do you need? Where can I provide value for you, demand generation team, product team, CRM team, media team? Let me see if I can use my audience to drive value for you." Then each one of those values becomes a line in a PowerPoint and that quite frankly is every successful large at scale content marketing program, their analytics is a PowerPoint presentation. Tyler Lessard: It's funny. I laugh a little bit at that, but it is true for a lot of folks. What's interesting to me though is that's also an indication of how quickly things are changing with respect to the strategies we're employing and the kinds of content we're producing versus the current expectations the business. There's a lot of things I think we all need to do to shift that mentality and to make sure that our analytics and what we're trying to go for from day one are things that we have integrated into the rest of the company with respect to how we can track and manage and analyze those. I think there's a lot there. We're not going to have time to unpack that. Maybe that'll be part two of this conversation. One last thing I just wanted to point to was you had mentioned an idea there that I just wanted to pull on, which is whether you're a small 20 person B2B company or a large B2C brand, I think a lot of what we're talking about here is the importance of starting to think and act like a media company, right, like they've always have, right, which is about a huge part of the value you can bring to the market is in the content, the stories, the messages, the content you can create to the market, the base, the audience you can build, even the subscriber base you can build to your thought leadership or to your entertainment, whatever it is that you're using as your hook to bring people in. I think there's just so much value to that perspective for organizations. I'm going to ask you one last question that I want you to answer just quickly is what one or two kind of people or how is that methodology changing the kinds of people and talent we need within these content organizations or marketing organizations? How is that changing the kinds of talent, the kinds of experiences that people are bringing in to build a successful media or content engine that's a lot more strategic to the business? Robert Rose: It's a huge question and the answer quickly is it's fundamentally shifting. In fact, that's the biggest thing I hear these days from organizations that are looking to build a content marketing function is quite frankly how do we hire and staff this? How do we upskill our team to have this as a cross-functional strategy? There is a lot of talent that's on the team that goes I think is nascent and unexplored. One of the things that I do with many of our my clients is talk to the teams and find out that oh my gosh, there's so many great writers and so many great content creators here that has just gone unused because they haven't done it. Figuring out where to bring in the journalists, the editors, the rich media creators, the videographer, the photographer, the designers, the content distributor, the advertising manager and really figuring out those talent skills are really the challenge quite frankly of the marketing organization of today because it's fundamentally shifting all of the different chairs and responsibilities that we have. Randy Frisch : It's a fun time for sure, Robert. I couldn't agree more. It's probably no better time to be in marketing. I know Tyler said he was going to hit you with one more question, but Robert, you don't get off that easy on Content Pros. We like to finish with a lightning round always and the goal is to get to know not just your work thoughts, but kind of mesh in a bit into personal. We still have time to work in some ways. First off, I mean we've hinted at this, your ability to get up on a stage. We're not going to put you under pressure in that way. What kind of music are you listening to when you're not up on stage? When you got your headphones on, doing work, pumping out a blog post of your own, what type of tunes do you listen to? Robert Rose: Well, I'm a musician. I play piano and have for many years. This is not a cop out, but it truly is it could be anything. I think the only kind of music I don't regularly listen to is like death metal. I mean I'm not a big fan. Pretty much everything else can ... Most frequently it's going to be some form of jazz or rock and roll. Randy Frisch : All right. I like. I like. Just to give everyone the visual, it was an '80s theme when I saw Robert perform. Robert Rose: Yes, it was. 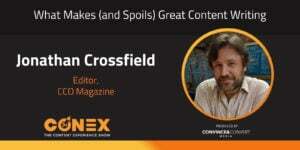 Randy Frisch : What is your preferred format for content? I know you do podcast. I know you write tons of great blog posts. You've written these books. To narrow it down, I'm going to put the following scenario to you just so everyone gets a way of thinking about how you consume content. Your book Killing Marketing is available for download for Amazon as either a Kindle read, a hardcover book or an audio book. What is your go to format for consuming content of those three? Robert Rose: It depends on the actual expression of content. For novels and books, it's almost always Kindle. I have maybe 500 or 600 books on my Kindle in my library. I use Flight Time. I love audio for just about everything else. Like everybody else, I love video too. For reading books, it's Kindle. Randy Frisch : Awesome. All right. Here's the trickiest one. You're going to offend someone with this reply. Okay? Randy Frisch : If I go to Amazon and I search Killing Marketing, which is one of the ways people can order your new book that you did with Joe, I was telling you that other content is recommended. These days it's all about recommended content and what people are doing. I mean both Tyler and I's company at Vidyard and Uberflip are all about recommending that next piece of content. On Amazon, the three pieces of recommended content are Content Inc. by Joe Pulizzi. We've got also Growth Hacker Marketing by Ryan Holiday and then we've got Everybody Writes by Ann Handley. If people were to pick up one more book, who you going with? Robert Rose: To pick up the next book? Robert Rose: There's no question it would be Ann's book because ... I've read all three. Ann's book is hands down awesome. I love Anne Handley's book. That's just to upskill because Killing Marketing is about it's big ideas, big business, large enterprise, CEO level book. Ann's book is for all of just to just communicate. Tyler Lessard: I'll vouch for that as well both for just the theory behind it, but also as an individual. Frankly it made me feel a lot better about my own writing, which is to say that I feel like I don't need to be an over formal professional and she really brought that to light of how I can write in a much more natural tone and feel good about it. Randy Frisch : I couldn't agree more. I think recently my wife who's gotten to know Ann a bit well too felt really good when Ann followed her on Instagram. She's like, "Now I feel like I'm telling good stories if Ann cares." Awesome, guys. Robert, this has been so much fun. We really appreciate having you on Content Pros. For those listening, if you've enjoyed tuning in to this podcast maybe for the firs time, check us out at ContentProsPodcast.com. Content Pros is part of Convince and Convert, which is a network of other great content, other great podcasts, lots of great things to find there behind Jay Baer and his team. On behalf of Tyler at Vidyard, I'm Randy Frisch at Uberflip, thanks so much to Robert Rose for joining us. Please take a look at Killing Marketing and please come back to listen to us again on Content Pros.